Story: Prada is well known for its statement and original eyewear. 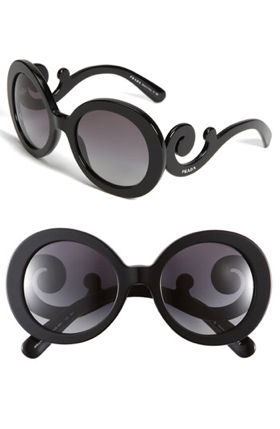 The Minimal Baroque sunglasses is a wan and original way to have fun with fashion. The unique rococo scrolled temples will appeal to to a fashion-forward statement maker.